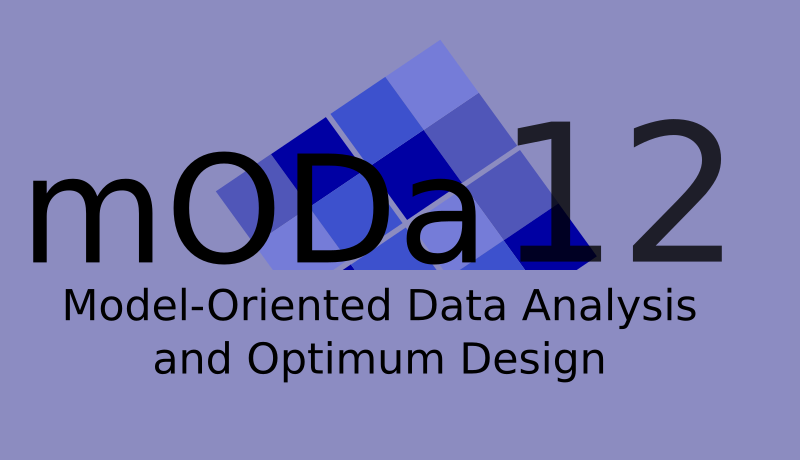 Participants of mODa12 are invited to submit an original manuscript to the conference proceedings, which will be published as a special issue of Statistical Papers (Springer) under the editorship of Radoslav Harman, Werner G. Müller, and Dave Woods. To keep the high standards of the journal, all submissions will be reviewed by at least two anonymous referees. The manuscripts should conform to the requirements published at the journal's website. In particular, we kindly ask the authors to read the "Aims and Scope" and the "Instructions to Authors" sections of the website. The recommended length of each submission is 10 to 18 pages. To submit the manuscript, use the online submission system by following the hyperlink "Submit Online" at the journal's website, and upload all of your manuscript files according to the instructions given on the screen. During the submission process, select the option "S.I. : Advances in Model-Oriented Design and Analysis". The deadline for the submissions is 31 August 2018.